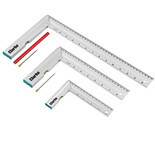 A handy three piece try square set, complete with try squares of three differing sizes, all manufactured from durable aluminium. 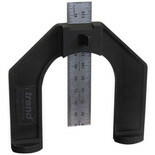 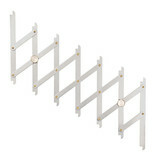 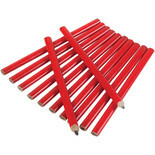 Ideal for transferring angles from walls which are not square to skirting boards or shelving. 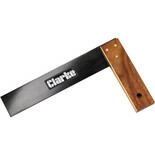 9" (230mm) Hardwood Try square. 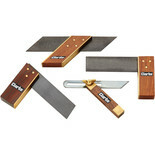 Ideal for hobbyists and small scale woodworking projects. 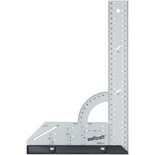 An incredibly useful 'scissor' type measuring device that instantly & precisely locates evenly spaced positions for dowels, screws, biscuits, pins and for drilling holes. 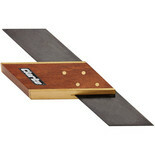 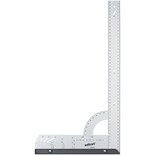 This angular bevel gauge will help measuring the wall angle to determine the cutting angle. 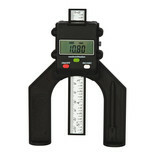 A digital depth gauge for horizontal and vertical measuring. 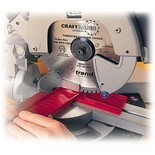 For use on hand routers, router tables and saw benches. 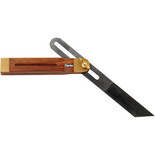 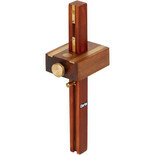 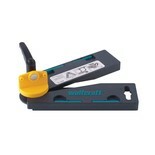 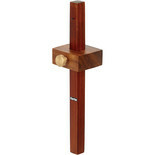 Also ideal for use with dovetail jig and mortise and tenon set ups.